Start Earning Now: Get the Spec Home Financing Today! Escape the digital and return to the age of face-to-face conversation. Deal with an individual on a personal level without having to go through bureaucracy, lines, or screens. Face-to-face. Don’t wait in line at the bank or call into an organization who has outsourced its phone-answering services to India. Talk to private money lenders. Get an answer in days, not months! Analog is dead. Congratulations, you live in the digital age. You live within arm’s length of a computer and a cellphone. Dial-up internet, wall phones, and CDs are dead. To interact with the world around you, you have to look into tiny little screens, answer phone calls at all hours of the day, and no longer have to have face to face conversations. Texting, email, social media, telemarketers calling at midnight. Amid the utopia or dystopia of all things digital, you even have a credit score. That’s right. Within minutes, banks and many other large institutions can peek into your financial information and judge you. Good debtor or bad debtor? Divorce, foreclosure in the downturn, short sell? Too bad. You’re credit score got wrecked. On top of that, your chances of getting a loan are slim. The banks may run from or shrug you off. So, what do you do? Are you an analog cowboy in a digital world? Do you long for the simplicity of the past? Good. Many people do. You’re in luck too. There are lenders who don’t look too deeply into your credit score—private money lenders. These are the guys who can get you out of a bind by extending the means of financing you need. Private money lenders are private investors. They are not tied to the Fed and its ups and downs. They are less confined by government restrictions. Why Do People Prefer to Deal with Private Money Lenders? Many people confuse private money lenders with hard money lenders. However, hard money lenders compile large sums of money from groups of individual investors in order to lend out money. Private money lenders, on the other hand, go at it lone cowboy raking in substantial, personal stores to lend out to debtors. Many people favor private money investors because there is usually one face who deals with the clients and loans out the money. This differs from waiting in line at the bank or calling into an organization who has outsourced its phone answering services to India. Deal with an individual on a personal level without having to go through bureaucracy, lines, or screens. Face-to-face interaction. Old-fashioned. Talk to your broker today at Level 4 Funding to locate private money lenders that are right for you. Don’t deal with automated call-in structures that leave you waiting hours to be attended. Talk to a human being, face to face, and get the lending you need from an individual you can trust. 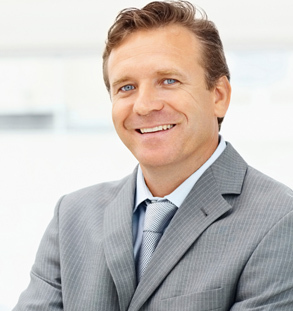 Private money lenders offer old-fashioned service that is quick and reliable. Talk to your broker today at Level 4 Funding to locate private money lenders that are right for you.